We're the Sailfish Studios team, an award-winning digital agency based in Northern Ireland. 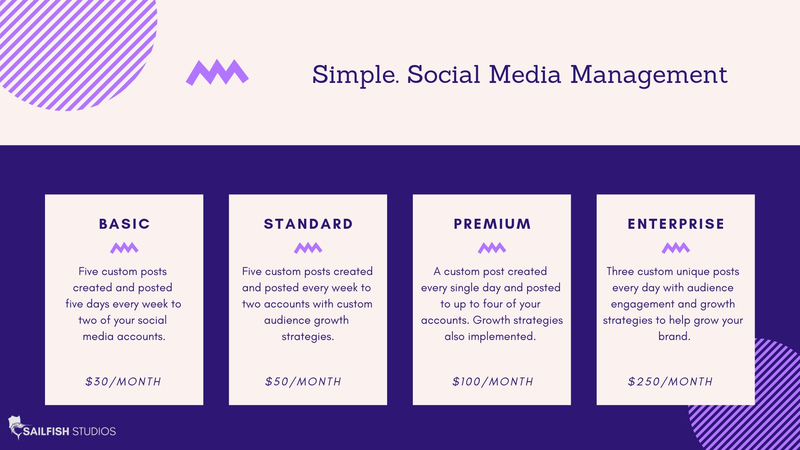 We specialise in results-driven social media management for anyone, startup, business and budget. With each member of the team with over 6 years of experience, you can make sure we can manage and promote your social media profiles to the highest standard. Monthly reports, unique content creation, page optimization and keyword research all help us provide you with a five-star, hassle-free experience. We would love to work with you on any project or challenge, just drop us an email to hear how we can improve your profiles or enquire below!